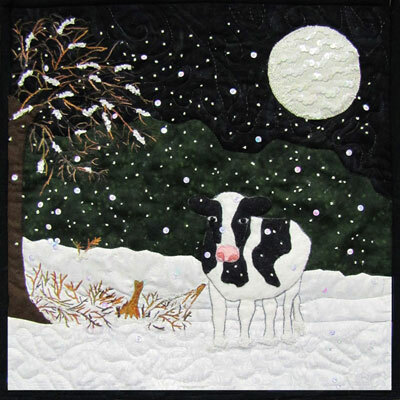 January 2011 Pattern "Winter in Wisconsin". An appliqued and embellished pattern. Four pages. 14" finished block.